Rumors are swirling and feelnumb.com was just there gathering intel!!! 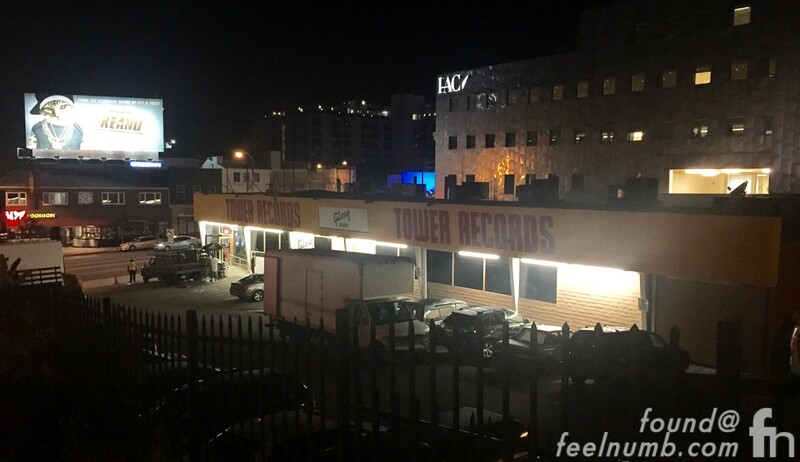 My sources have told me that set-up at Tower Records is NOT A LIVE GIG and the band most likely will not even be there. I was just there and there is no audio equipment, PA gear, staging or show lighting being set up. I did see LA Rock station KLOS 95.5 had their van parked next door so there will be some type of GN’R related announcement there. 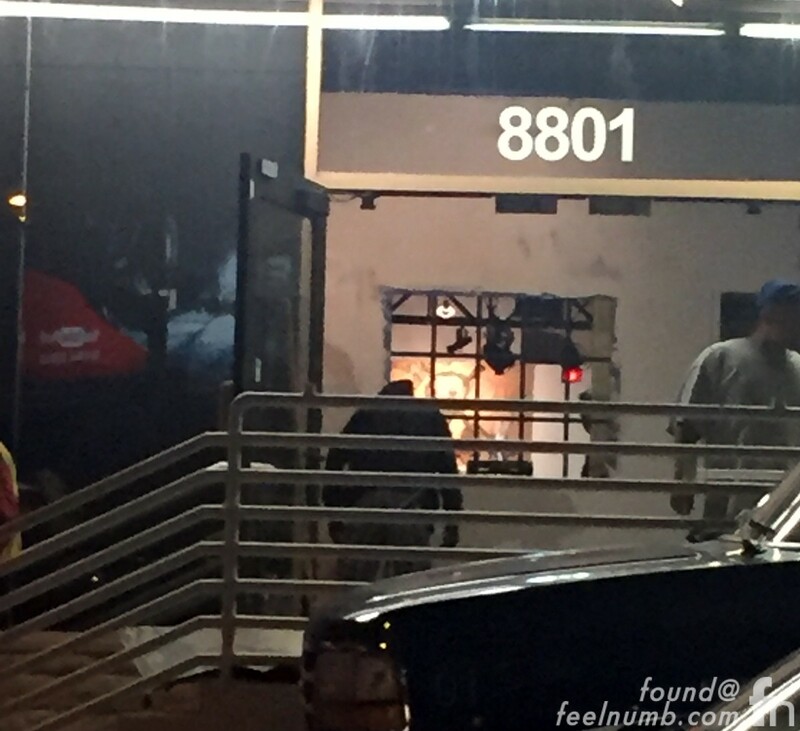 Here’s a photo taken tonight at 1:00am – All I saw was workers loading up spray-painted artwork and set-design type stuff being loaded in by a company called DEPICT. Here’s a closer look at the inside as crews are painting and building temporary walls. 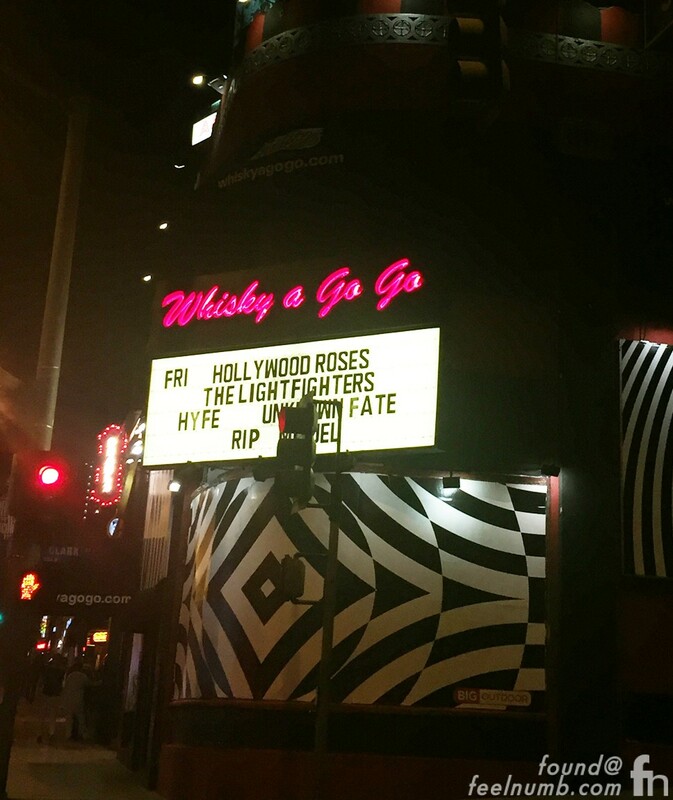 The rumors earlier today had GN’R playing at the Whisky A-Go-Go but my source there said that the band playing that night is “Hollywood Roses” and it’s definitely not Gun’s N’ Roses. 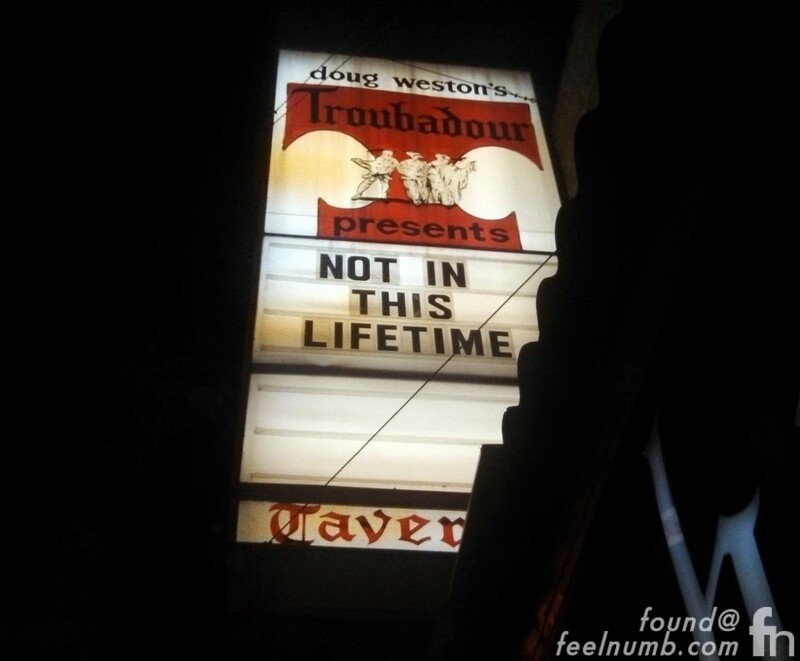 This is the marquee as of today – April 1, 2016. The rumor gaining the most steam and I think is pretty legit as of right now is that Guns N’ Roses will play a small show tomorrow night at 11:00pm at The Troubadour in West Hollywood, California. I have a few people that told me that Guns N’ Roses gear was loaded up from their recording studio tonight, so they are for sure playing somewhere. 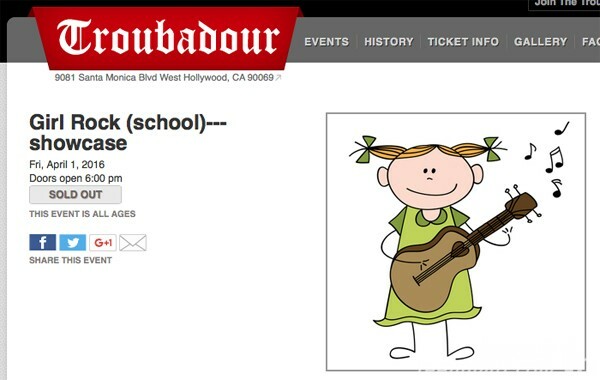 This is what The Troubadour website has on their calendar performing on April 1, 2016. It all makes sense but given Axl’s history and the fact that it’s April Fools Day makes it all even more mysterious. We will be there keeping you in loop tomorrow. Stay tuned on the feelnumb Facebook, Instagram & Twitter for the latest.